So, this isn’t really a recipe at all, if I called it that it’d be like saying putting your socks on is the same as being a clothes designer. Or something that actually works there. But I just ate it and it’s tasty. It’s also a staple when I’m doing one of my stupid carb-free crash diets. Cut some goats cheese into half-inch thick rounds and dribble over the tiniest bit of olive oil and an equally tiny squeeze of honey. Sprinkle over dried oregano and rosemary and stick under the grill until slightly golden and melty (technical term). 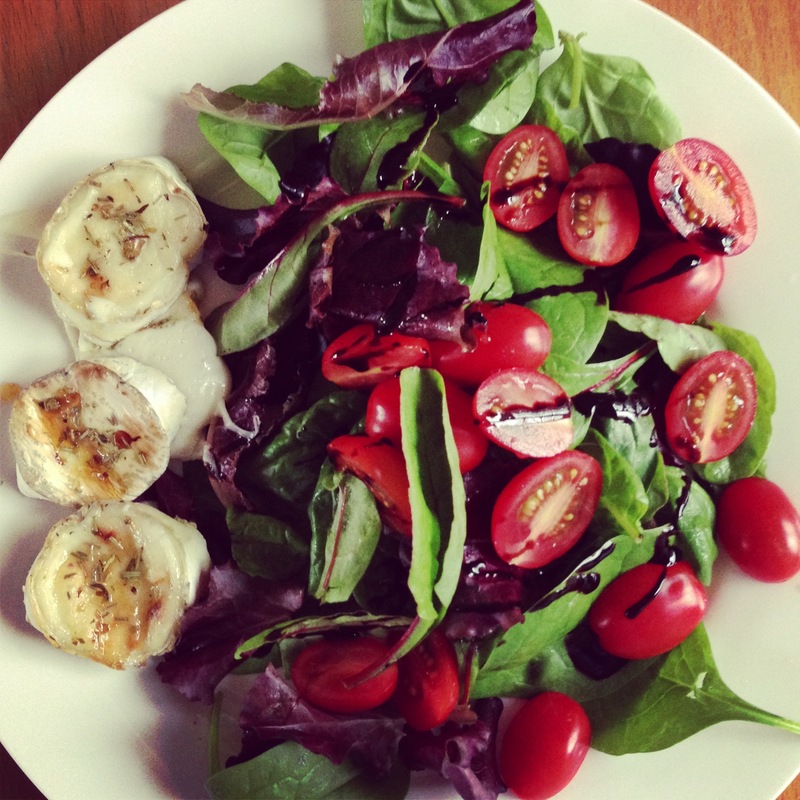 Eat with baby leaf salad, lots of cherry tomatoes and a balsamic glaze.